Lisa loves John: 2015 so far! 2015 has been a pretty great year so far... all nine days of it! 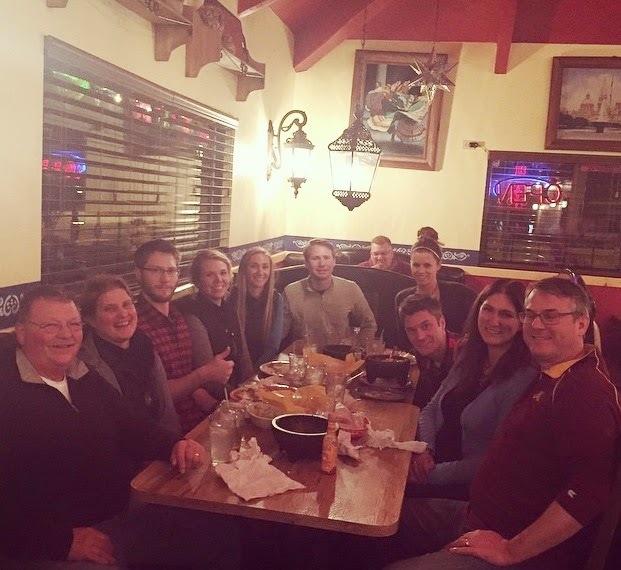 :) The first week of the year was spent with my family all together in Arizona! My parents, brothers, their significant others and our family's best friends all came to Scottsdale to visit John and me. Everyone traveled a long way to be here (from Minnesota, Michigan, and Massachusetts), and it was a great time had by all! I thought that the best way to recap our trip would to be to use my Five on Friday. Linking up with Amanda, Karli, April, Christina, Darci, and Natasha! 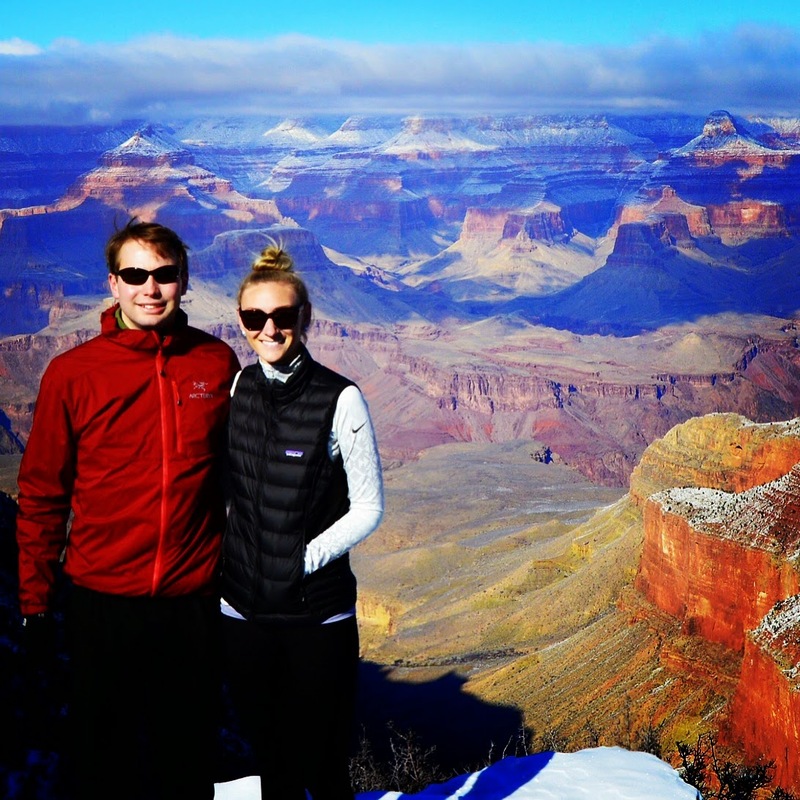 We started off the New Year with a little visit to the Grand Canyon. This seems to be our party trick - if you come visit us, we will take you to the Grand Canyon, ha! It was everyone's first time, and it was my first time visiting in the winter. There was quite a bit of snow and it was c-o-l-d! There were 10 of us total, and 5 hiked down into the Canyon while the other half of the group walked around the rim. Not surprisingly, the views were incredible. 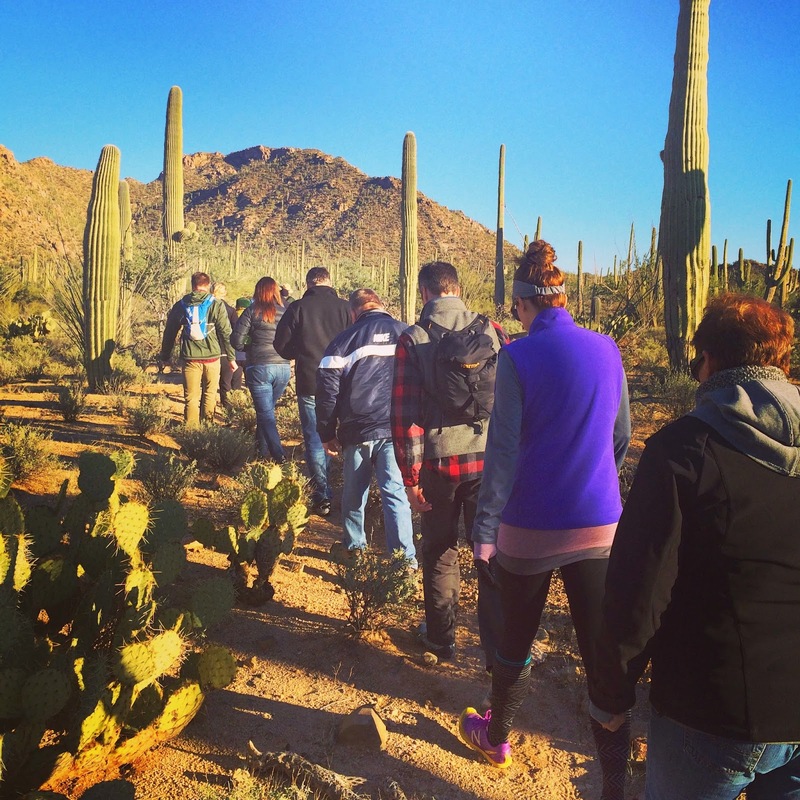 During everyone's visit, we also went to Saguaro National Park in Tuscon. 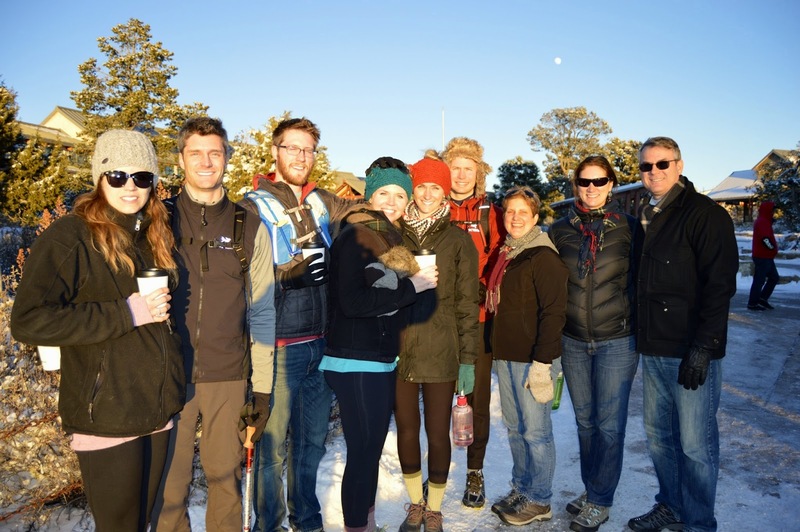 It was my first trip to the park, and we all did a ranger led hike that started a few hours before sunset and finished in the moonlight... the moon was so bright that you could see your "moon shadow"! 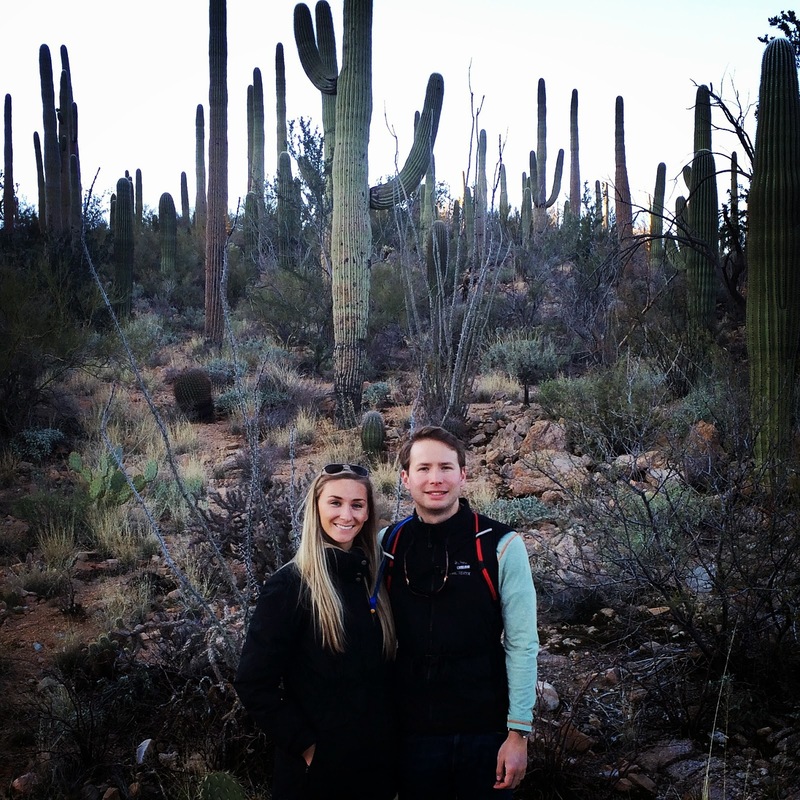 The national park and sunset were beautiful, and all of the cacti were huge! Although it was cold, the hike was lovely, and the evening was perfectly finished with tasty Mexican food! My family loves to play games... 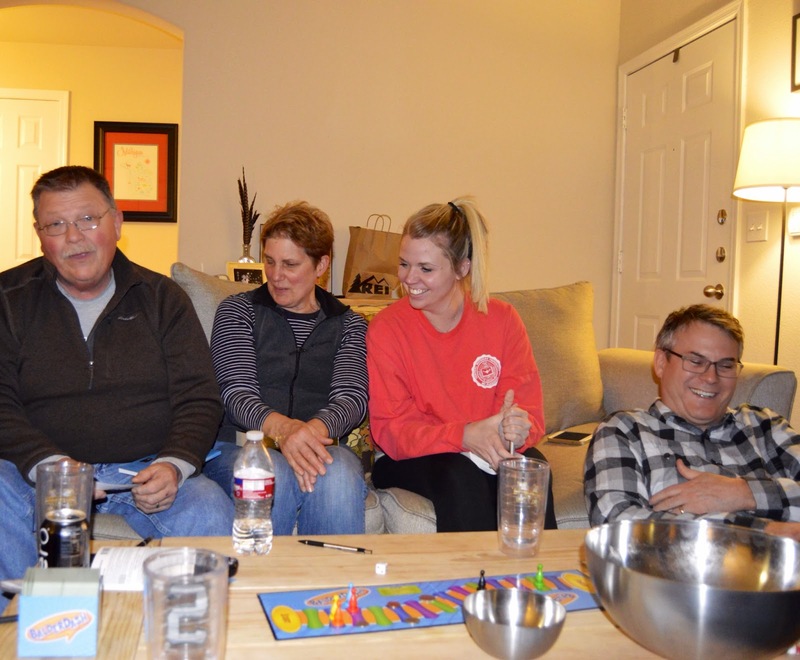 I'm not sure if it's because we are from the Midwest, but card games, boardgames, catch phrase - you name it, we love it! My little brother even set up a euchre tournament (someone please tell me they know what that is...). We are pretty competitive people so it's always a good time (especially when we win, just sayin'!). Have you heard of Topgolf? It's super fun! It's basically a driving range, but instead of just hitting balls, there are games you play for points. The balls have ID chips in them so they log points to different people based on how close you hit the balls to targets. We had a great time golfing and definitely took advantage of all of the games! There was quite a bit of hiking that went on during our trip. 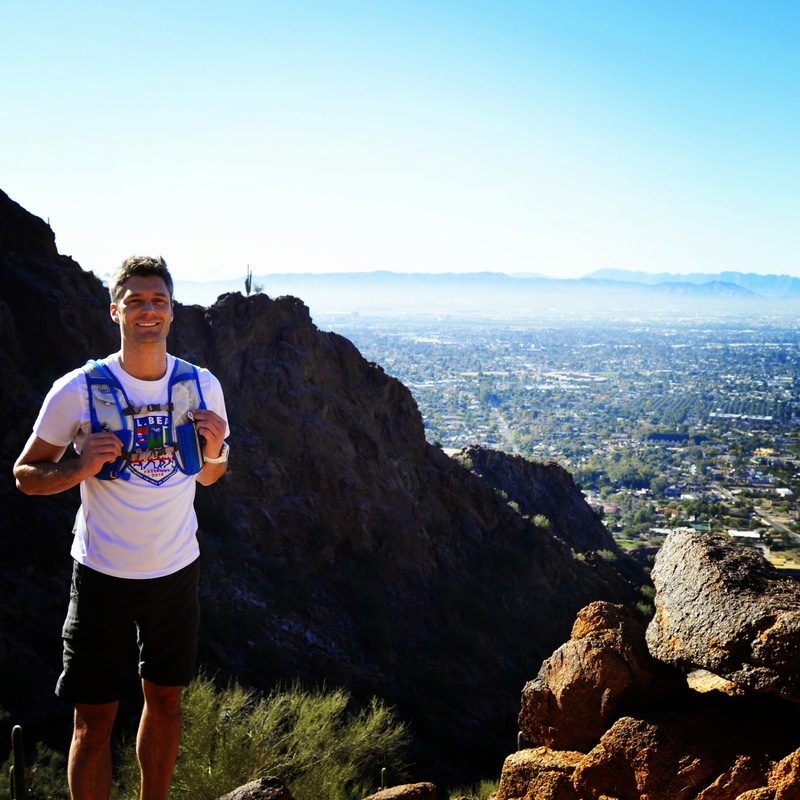 In addition to the Grand Canyon and Saguaro National Park, John hosted people on hiking Camelback Mountain and Pinnacle Peak. 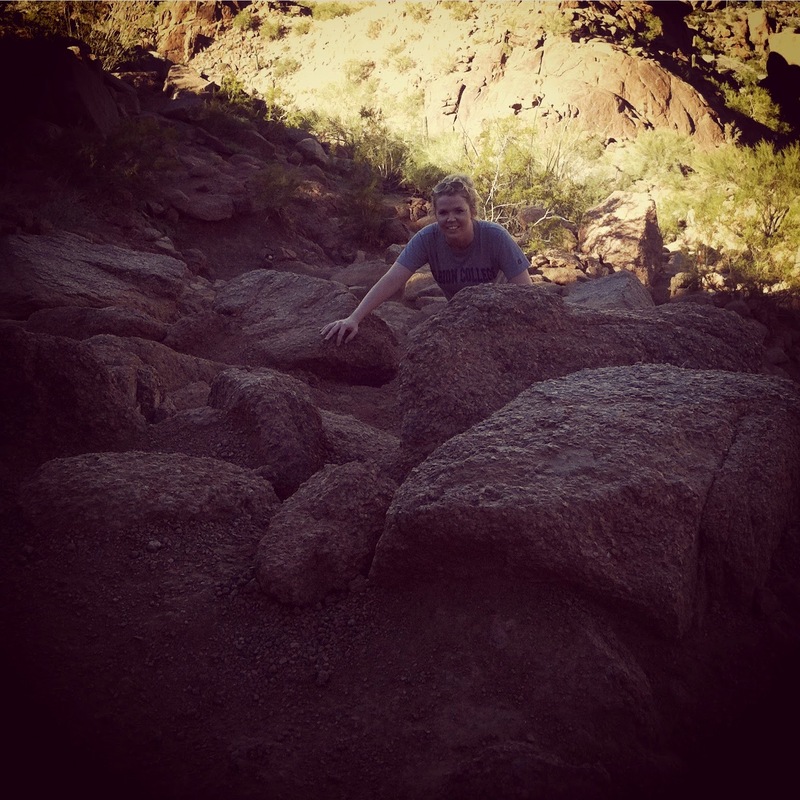 Both hikes are local to Phoenix and quite fun! While people were off hiking, a few of us went shopping, and by the end of the trip, the weather had warmed up enough to lay by the pool and do a little swimming! It was such a fun time to have everyone together all at once... it was the first time in over 3 years! We literally live across the country from each other, so we are hoping to make it a yearly thing! 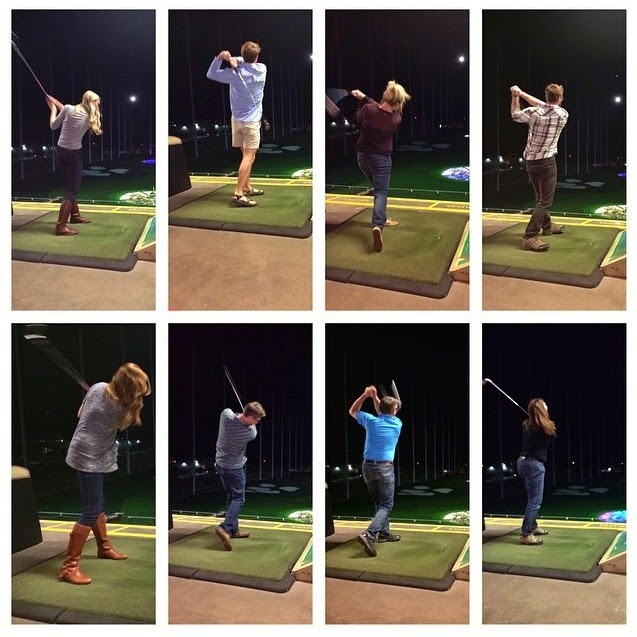 Holy crap - Top Golf already expanded to Arizona?!?! It started here and it has apparently EXPLODED! It's always a good time. Those were always the best turnout for events, lol... Happy 2015 girlie!! Looks like you guys have been up to a lot of fun! Those Grand Canyon views are breathtaking! gorgeous pictures! we have a topgolf in Atlanta and I love it!!! the food is also good which is always a plus in my book. happy weekend!! 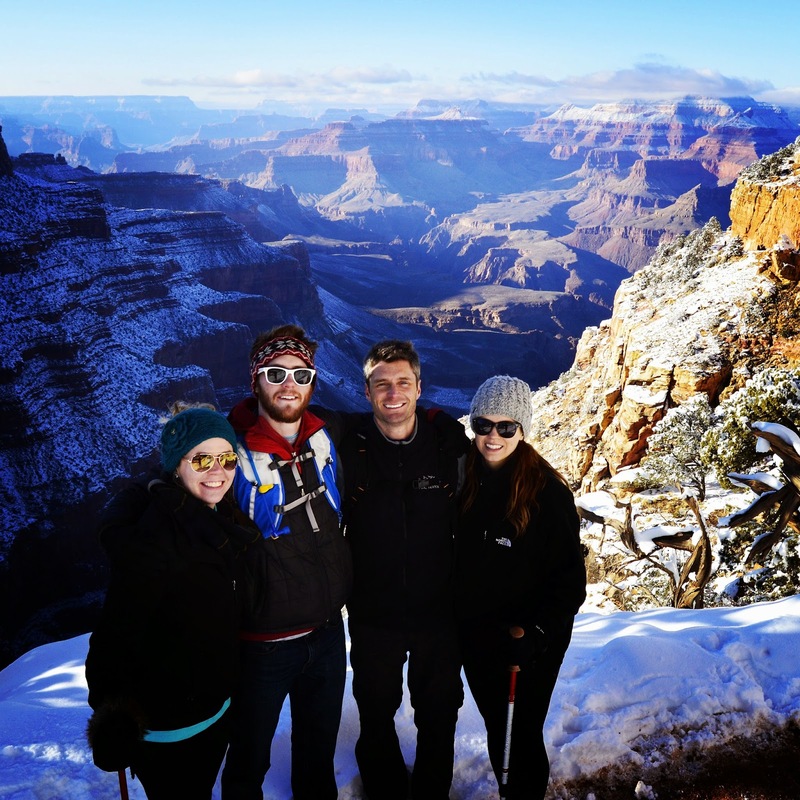 Sounds like you had a great adventure filled time with your family, so fun! Thanks for sharing! Have a great weekend! Sounds like y'all started off 2015 pretty well! Love seeing your pictures - I didn't know Arizona was that pretty! Dang, you've already accomplished more in one week of the year than I do in months :) haha I love all your activities already! So much fun! I feel really dumb, but I had no idea it got so cold in Arizona? Haha! That is so awesome all of your family and friends came out to visit you guys! So much love! What an awesome time you guys had! Sounds like your family is really outdoorsy. We love AZ in the winter! Those pictures of the Grand Canyon are GORGEOUS! I've never seen it with the snow, but I love the desert landscape with the snow! So pretty! How fun, you had your whole family to visit! Love game night and hiking days! Those are the best! :) Happy Weekend sweet girl! I am SUCH a games player! We are all about cards and board games in my family. I'm a big golfer but I've never been to Top Golf!! I'll be in Dallas in a couple months and will definitely be going! What a fun week!!! Isaac and I have got to get back to AZ soon. There is still so much more I want to see! 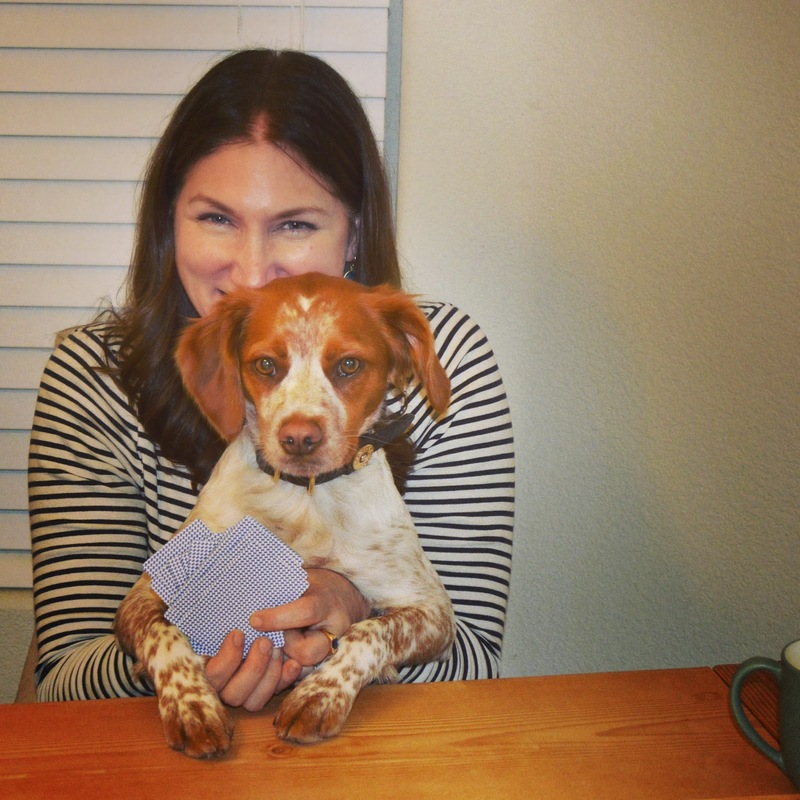 Scout looked like she was really into that card game; little cutie! A Top Golf is being built about 5 minutes from out house, and I think it's going to be a great place to have some fun. You've done so much already this year! Looks super fun! Would love to see the Grand Canyon. Gorgeous scenery pics, as usual - I'm envious of that weather! Happy Friday! Don't worry, I know what euchre is!! Haha! So much fun that everyone could come visit - looks like a great time was had! Cheers to a wonderful 2015! Looks like so much fun! One place you have to go sometime is Canyon de Chelly National Monument. We went when I was 12 and it was really neat! As always, your pictures are gorgeous! I had to look up what euchre was haha. But I grew up on the east coast so that's my excuse. :-) I'm glad that you had a nice time with your family, looks like it was a lot of fun. Have a great weekend! Ahh what a great start to the year! 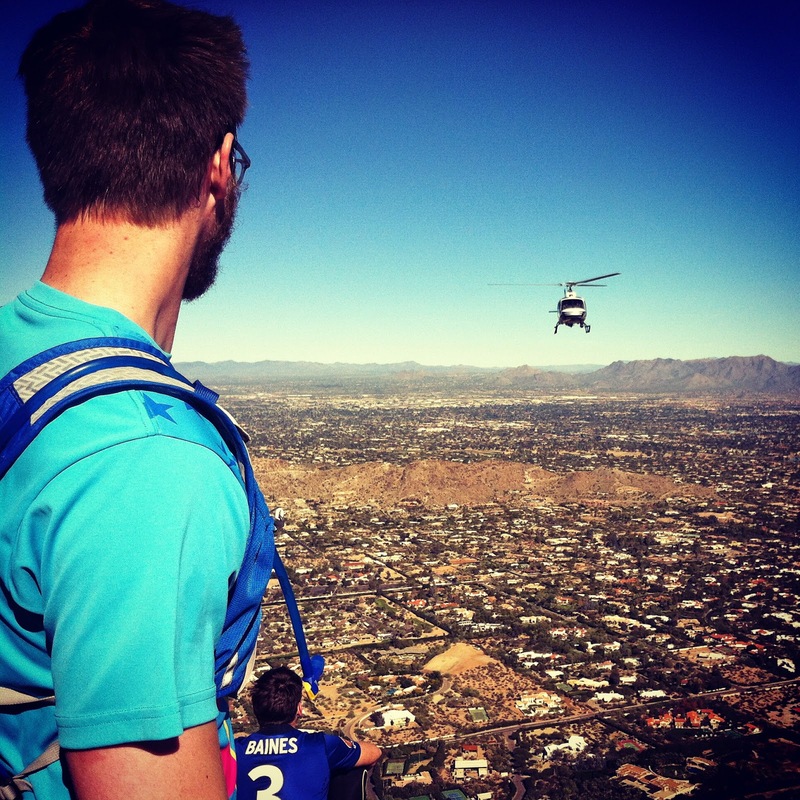 I have been to Phoenix plenty of times but never hiked Camelback and it's definitely on my list! Happy new year lady! Your post are always full of the most beautiful, scenic pictures! What an indcredible way to start 2015 off! 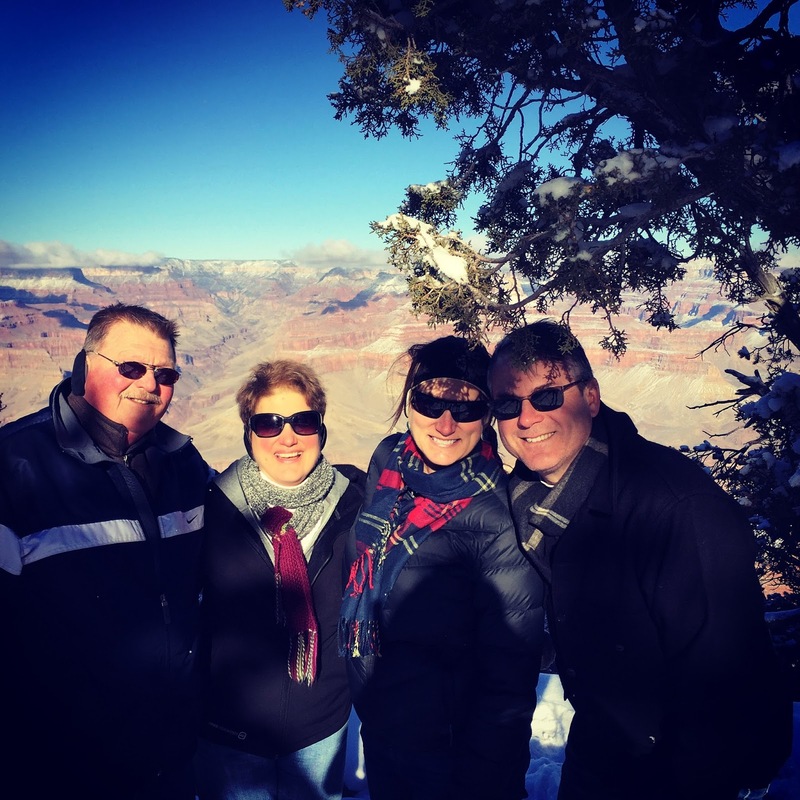 Those Grand Canyon views are incredible! Looks like a wonderful year, so far!